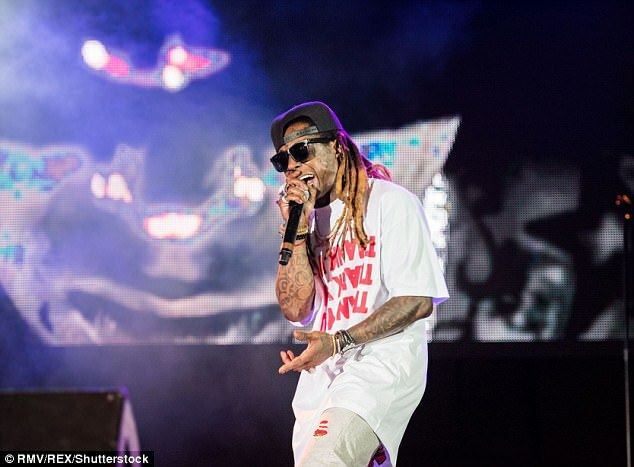 Everton mistake Lil Wayne for Wayne Rooney! 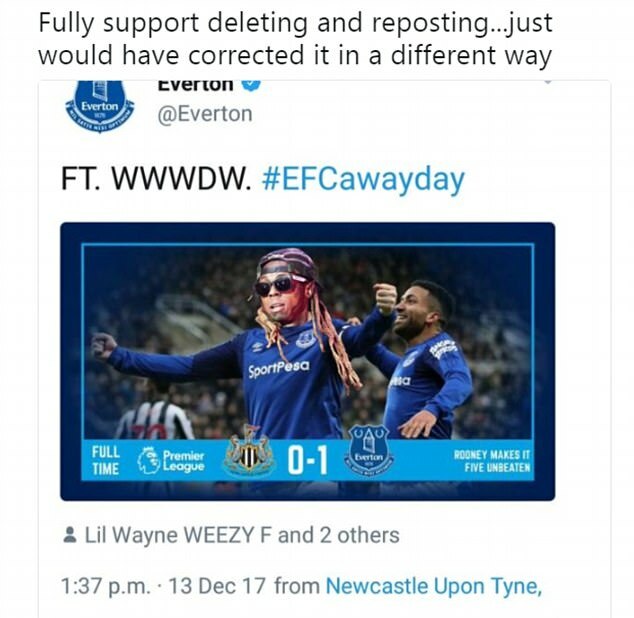 Everton‘s social media team mistakenly tagged Lil Wayne instead of Wayne Rooney in a Twitter post on Wednesday evening. 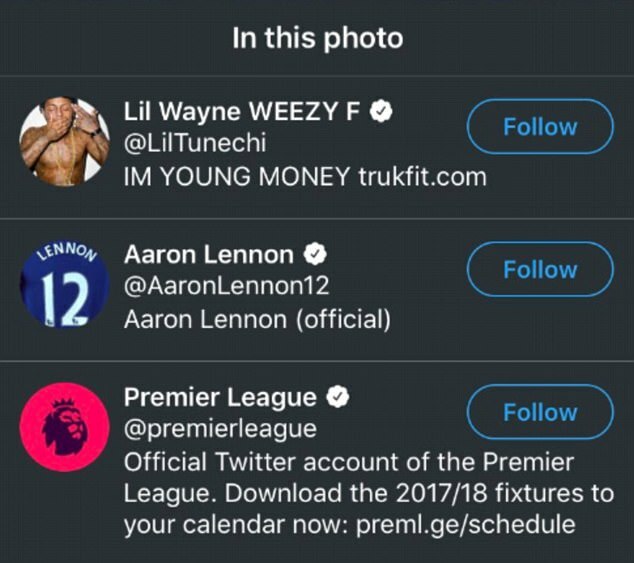 Eagle-eyed fans were left scratching their head when the American rapper was tagged in a picture which included Aaron Lennon and Rooney. The post was deleted after fans questioned the mistake which occurred after Everton’s 1-0 win over Newcastle. One fan photoshopped Lil Wayne’s face onto the body of Rooney after the error while other just stated their surprise. 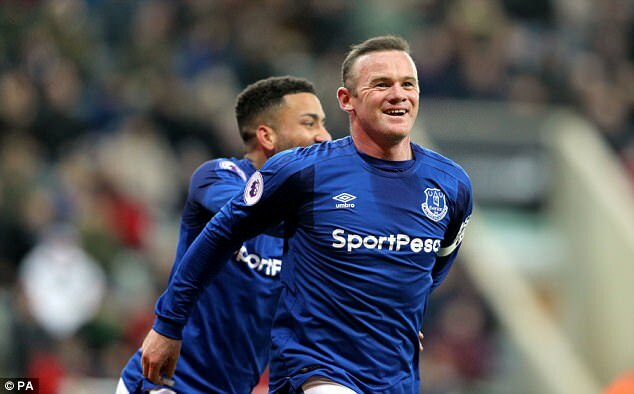 Rooney netted the winner for the Toffees as Sam Allardyce’s side climbed into 10th spot following their revival under his guidance. Former Manchester United captain Rooney netted the winner in the 27th minute before Jonjo Shelvey was sent off shortly before the full-time whistle. Allardyce, who saw his side draw with Merseyside rivals Liverpool at the weekend, said after their latest win: ‘You have to have a big personality to walk into a football club and look at the players and say, “Look lads, listen to me. This is what you need to do, this is how you need to get out of the position that you’re in”. ‘It’s not rocket science, it’s simplifying and making things easier for you to make decisions that will help you win back your confidence, put results on the field and take us forward’.